Home / Anarchism / Announcing the 2018 #Seattle Anarchist Bookfair! Announcing the 2018 #Seattle Anarchist Bookfair! 10 AM-5 PM at the Vera Project. 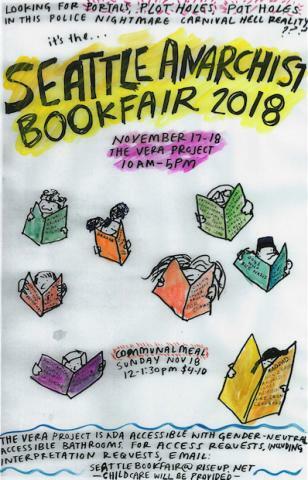 Seattle Anarchist Bookfair, September 2018. Announcing the 2018 #Seattle Anarchist Bookfair! — Enough is Enough! | Anarchy by the Sea!